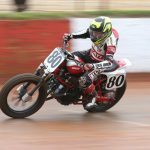 RIP American Flat Track Racer Alec Muth. Ride in Paradise, Alec. 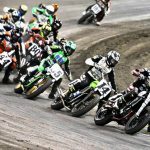 American Flat Track racer, Alec Muth, succumbed today to injuries sustained during the Black Hills Half-Mile on August 7th. He was 22. Our hearts and condolences go out to his family and friends. Ride in paradise, Alec. 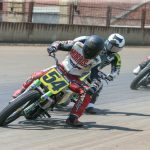 DAYTONA BEACH, FL – August 16, 2018 – It is with heavy hearts that we announce the passing of Alec Muth (22), who was involved in an on-track incident during the American Flat Track event at Black Hills Speedway in Rapid City, S.D. 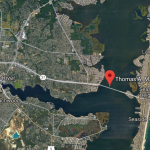 on Tuesday, August 7. Despite the immediate action of first responders and the best efforts of the very experienced staff at Rapid City Regional Hospital, Muth succumbed to his injuries on Thursday, August 16. 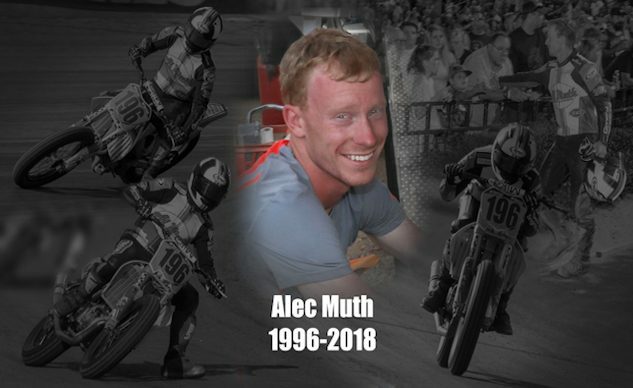 Muth was an up-and-coming rider from Black River Falls, Wis. He will be deeply missed by peers and fans alike. The Class of ’79 has established a Memorial Fund for Alec Muth, with all donations going directly to Alec’s family. In lieu of flowers, donations can be made at http://www.amaft79.com or by writing a check for Alec Muth Memorial Fund, payable to the Class of ’79 at 3989 Springer Lane, Springfield, Ill. 62711.